The Floods in Assam have resulted into a huge loss. The aftermath of deluge brings the threat of malnutrition, diarrhea, water-borne diseases like cholera and dysentery, psychological stress and human trafficking. Drinking water and sanitation remains a challenge even if one is living in a relief camp. Government has taken various steps to fight against this natural calamity. Our Honorable Prime Minister has also announced help of Rs. 2300 Crores. Parksons has shown its concern by contributing towards the Flood Struck Victims and handed over a Cheque of Rs. 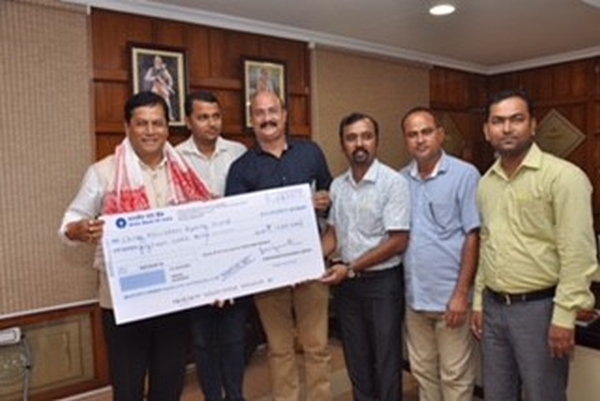 15,00,000/= to Chief Ministers Relief Fund to carry out disaster relief Activities which will help, support and benefit the victims of Flood struck families.